Man makes plans, and God laughs. We are limiting eating out to one day a week. We did this. We are taking our lunches to work. We made great progress on this. We are keeping fruit and cut up veggies in the house. Much improved, but still a work in progress. We are both committing to move more. We are parking further away from stores, taking the stairs when possible, and finding activities to do that involve physical activities. Hubby is joining a gym and I am getting up thirty minutes sooner so that I can Wii or treadmill in the mornings. Overall we get a B- on this. We did walk in two 5k’s this year, we have started using the treadmill and elliptical, and are more active, but we still have a way to go. The hardest change I am making is to limit the amount of artificial sweeteners. I do love a diet Mountain Dew… too much. I know that my cutting caffeine and those fake sweeteners at the same time is not a good idea for those that I work with and love so coffee and a teaspoon of agave will keep me fueled up. I am also going to drink more water. Good ole plain water. Yuck. I get an F here. The change in our world set me back. Waaaay back. I have started drinking coffee with monk fruit sweetener and limiting soda to two cans a day. Most days. I am drinking more water. This past year we sold a home, bought a home, moved into the lake house, moved out of the lake house, moved in to our new suburban home, started new jobs, attended our daughter and son in law’s wedding, and welcomed our son and daughter in law in our new home while they prepare to go overseas for a year of mission work. It was a memorable year. We are tired. Exhausted. Hubby and I did manage to get some projects done at the lake house and our new home, but hopefully next year we will get a few more projects at both places complete. We plan to update the master bedroom, finish the covered porch area, refurbish the deck, and get an outdoor shower in at Star Hill. We are putting in sliding barn door at the burb home, fixing up the guest bath, and working on the back yard. My personal word of the year is focus. I need to focus on what is important, focus on finishing projects, focus on my personal life, focus on finances, and focus on my relationships. I am reading Dave Ramsey right now and plan to post one of these 20 things rich people do weekly so that we can get on track for retirement. The following 20 facts will be posted, one by one, weekly. I will have time to post them all twice during the year and re post the problem areas. 1. 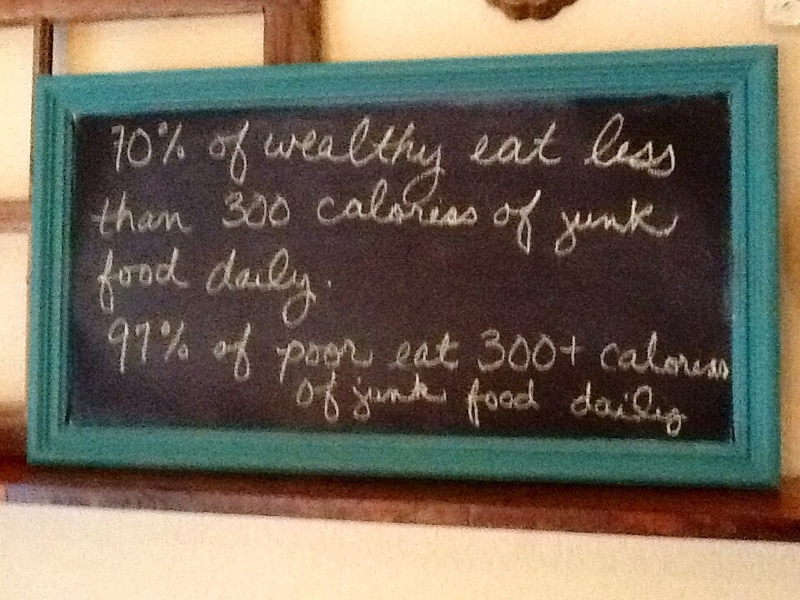 70% of wealthy eat less than 300 junk food calories per day. 97% of poor people eat more than 300 junk food calories per day. 3. 76% of wealthy exercise aerobically four days a week. 23% of poor do this. 4. 63% of wealthy listen to audio books during commute to work vs. 5% of poor people. 5. 81% of wealthy maintain a to-do list vs. 19% of poor. 6. 63% of wealthy parents make their children read two or more non-fiction books a month vs. 3% of poor. 7. 70% of wealthy parents make their children volunteer 10 hours or more a month vs. 3% of poor. 8. 80% of wealthy make Happy Birthday calls vs. 11% of poor. 9. 67% of wealthy write down their goals vs. 17% of poor. 10. 88% of wealthy read 30 minutes or more each day for education or career reasons vs. 2% of poor. 11. 6% of wealthy say what’s on their mind vs. 69% of poor. 12. 79% of wealthy network five hours or more each month vs. 16% of poor. 13. 67% of wealthy watch one hour or less of TV every day vs. 23% of poor. 14. 6% of wealthy watch reality TV vs. 78% of poor. 15. 44% of wealthy wake up three hours before work starts vs. 3% of poor. 16. 74% of wealthy teach good daily success habits to their children vs. 1% of poor. 17. 84% of wealthy believe good habits create opportunity luck vs. 4% of poor. 18. 76% of wealthy believe bad habits create detrimental luck vs. 9% of poor. 19. 86% of wealthy believe in lifelong educational self-improvement vs. 5% of poor. 20. 86% of wealthy love to read vs. 26% of poor. 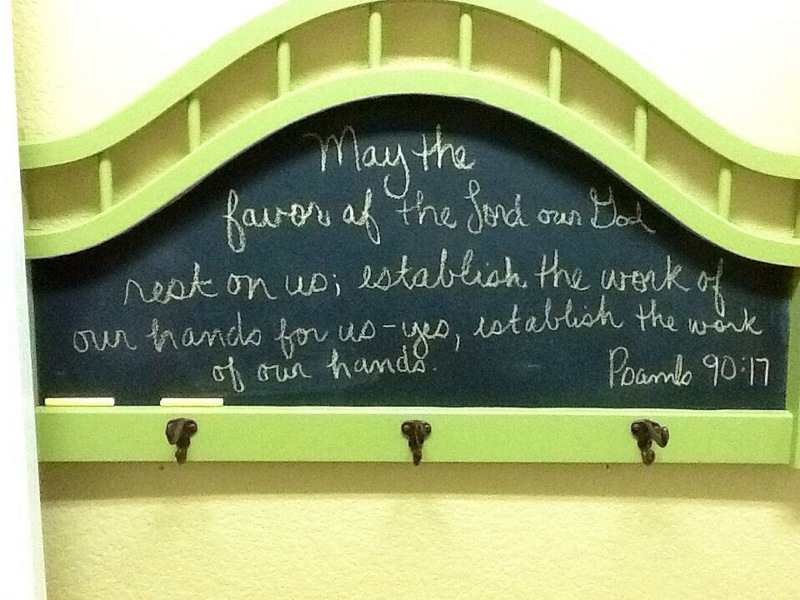 I also will be posting a Bible verse weekly in the laundry room. Man, do I have my work cut out for me here. In one year, I should be able to post them all two weeks and time to focus on the trouble areas an additional week. I hope you and yours have a blessed new year.